Finally, the Berty 35 of your dreams! 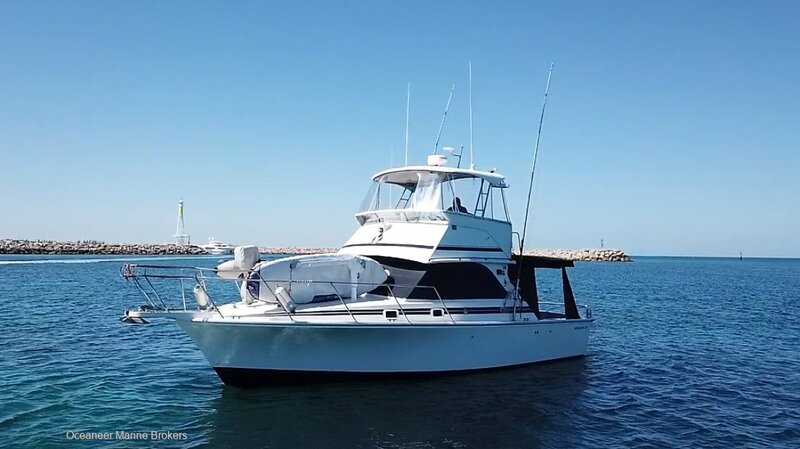 This extremely tidy and well specified Bertram 35 is the long time family favourite of West Australian boaties. With ample room to accommodate your friends, guests, plus the kids, handle the sea breeze and more, theres a reason they are still so popular. This particular vessel was launched in 1986 and fitted with reliable and economical Volvo 255HP diesels. It is very hard to find a quality Berty 35 with Diesels and kept in this good condition. February out of water service complete, including propspeed, polish and antifoul. - Full length stainless boxframe canopy over the aft cockpit, with hard top. Do not let this one get away! An inspection will impress anyone looking for a Bertram, Caribbean, Riviera, Mariner, Leeder, Randell, Chivers, Thomas Craft or Black Watch. Contact Tom or Matt Lovelady on (08) 9243 6373 or sales@oceaneermarine. Com. Au for more information. Vessel is located in Hillarys. Bookings a must for all inspections. accomodationForward V-berth double with insert, convertible to 2 singles, port cabin with 2 single bunks, 2 pull out lounges in saloon.